In the upcoming “Dawn of the Planet of the Apes,” chimps and other primates rise up in an epic war against humans. 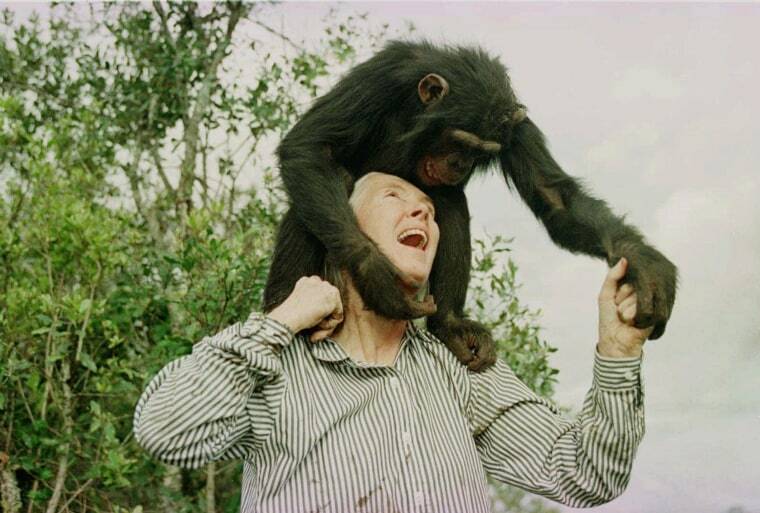 Back in 1971, it was chimp-on-chimp violence that surprised primatologist Jane Goodall, who watched as a civil war erupted between two factions of a group of chimpanzees in Tanzania’s Gombe Stream National Park. This is how a chimp attack usually goes down: A group of males will go on patrol, listening quietly near the border of their territory. They discover something. If it’s a similarly large group, there is often a loud screaming match, but little violence. Think of extremely hairy frat guys acting tough at a party. Occasionally, however, there will be a smaller group or a lone chimpanzee. The males will often rush in, hold the chimp down, and the group will bite, hit, kick and drag its body. It does not happen every day, but it’s not exactly rare either. What is unusual is an entire group of chimpanzees splitting in two, and then one group eliminating the other over a four-year period of violence. Scientists have long debated the catalyst of the civil war. Maybe the group Goodall was observing was really two groups all along, which would make the violence less strange. Or maybe the conflict was prompted by a power vacuum, like when a dictator dies in a hierarchal society. Hoping to clarify what happened, Feldblum and his team, consisting of Sofia Manfredi, Ian C. Gilby and Anne E. Pusey, used several programs to analyze the data from Goodall’s copious notes. One piece of software, called UCINET, is used to analyze social networks. No, the chimps were not on Facebook. But they did leave and enter the feeding station with certain other chimps from certain directions. Goodall recorded this data for years. Feldblum’s team was able to use the software to figure out who played a central role in the network and where they were coming from. So how did the great chimp civil war of 1971 start? Most likely with the death of an alpha male named Leakey. After his death, some of the chimps followed a male named Humphrey, in the north. Others followed two brothers, Hugh and Charlie, in the south. Most of them ran away and abandoned one chimp to its fate. These subgroups probably formed even before Leakey’s death. Female chimps often have “core areas” where they congregate to forage. Some recent research shows that males do the same thing, but less often. Regardless, chimpanzees, like humans, often form bonds with individuals they regularly interact with, which could explain why the chimps in the north stuck with each other after the split, and the same happened with the chimps in the south. Eventually, all seven chimpanzees in the southern group disappeared, most likely killed by those in the north. It might be fascinating drama — like the chimp version of “Game of Thrones” — but it’s something that is hard for other chimpanzee researchers to draw lessons from.